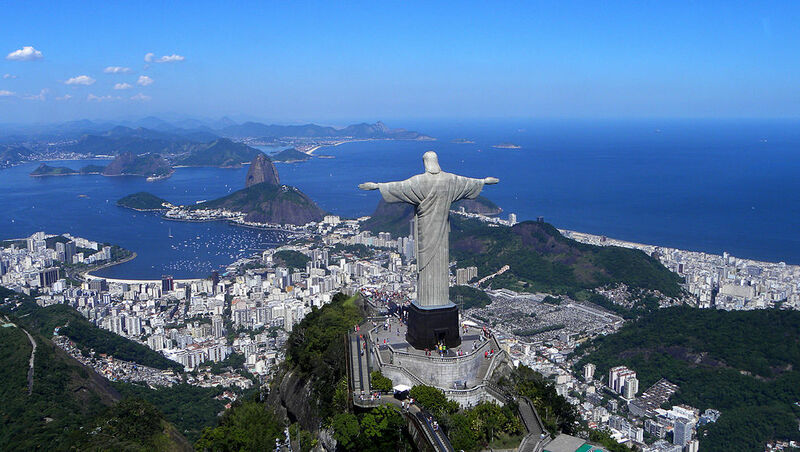 A large city on the South Atlantic coast, Rio de Janeiro Brazil is famous for its glorious backdrop of tumbling wooded mountains, stark rocky crags and a deep blue sea studded with islands. From the statue of Cristo Redentor (Christ the Redeemer) on the hunchbacked peak of Corcovado, or the conical Pao de Acucar (Sugar Loaf Mountain), you can get an aerial view of this lush, dynamic beach playground sweeping 220 km (137 mi) along the south-western shore of the Baia de Guanabara. From the stunning, curved Copacabana beach with its scantily clad beauties to Ipanema, land of the world’s most striking sunsets, and the boisterous, Bacchanalian carnival, Rio de Janeiro Brazil is one of the world’s most dynamic cities, bursting with charm, culture, art and colour.